Every server is different. On some servers it's great to be miner, on others it's great to be herbalist. In some servers you can make a killing with inscription, on others ... not. You earn money several ways, quest rewards, selling monster loot, selling herbs/skins/minerals, selling products of your tradeskill and AH-trading. Some of these ways are very profitable. Others are less, some not at all. Unfortunately, people has the internal tendency to overestimate their achievements, unless they were complete and sound failure. 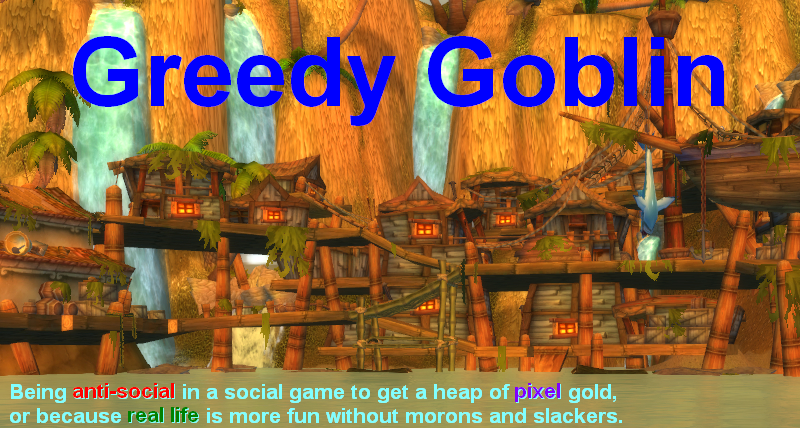 So you may make 90% of your gold by selling gems, yet you spend 90% of your money-making time hunting mining nodes, not noticing how cost-ineffective it is. Every week make a summarization and calculate (gained-invested)/time. This is the gold/hour ratio of that activity. The point is obvious: the activity with high ratio worth more time invested, the activities with low ratio deserve either abandonment or complete overhaul. If you have a gathering-crafting pair of trades, account for them separately. So if you create 10 potions, the AH price of the herbs goes into the "gained" tab of herbalism and the "invested" tab of alchemy. If you use a BoE or consumable item, don't forget that it's just been sold to yourself. So if you are alchemist and you drink a 2G AH price potion, the 2G goes to the "gained" tab of alchemy. I know that this advice is hard to accept. No one likes accounting. Not even me. I make it easier by sending the different investment to different bankalts, so I just have to look at their money tab to see gained-invested and /played to see time invested. Yet my case is special since I'm an AH businessman, so a lvl5 bankalt can do the same job as a lvl80 fullepic. Of course you can't go to a Northrend mining tour with a lvl5 just to have separate records. I know that most of the readers will not accept this advice. It's your life, your game, your money, therefor your call. But if you don't have a book, please don't send me emails like "I farm 2 hours a day still I can't go above 1000G, what shall I do? ", because I've already answered your question. BTW accounting takes a couple minutes, you can do it while you're flying. Having an ineffective activity takes much-much more time. PS: I'm aware it's Christmas. I created the post in forward, and may not be able to respond comments immediately. Having focused alts for differant income streams and using moneyfu is a quick easy way to stay organized and track your businesses. I've just recently started using moneyfu. I'll be starting more alts to keep track of differant revenue. Using different alts are good idea, however it needs different alts. If you do AH business, they can be lvl 5 alts. For crafting, lvl 70 needed, for mining/herbing/grinding, lvl 80. I'm curious as to why you are so against buying vanity mounts. I bought two tundras and a bike, and there's no greater display of wealth than having a bank alt on a bike/tundra with the ring that makes your hand sparkle. @Azreal: why do you need display? To show that I'm successful? So people take me seriously? A display of wealth and power changes people's opinion of you. Have you ever been to a successful law firm? They spend millions making sure you know they make millions. If you have a major case they want you to go to them first. You see their wealth and prestige, and know they must be success, so where do you end up? You have to show a certain image so that people know you mean business. When crafting items, people see the mount, and know I won't steal their mats and disappear. When I say I want to buy 1000+ item x, people know I'm not kidding around. It's a lot more than that. Anyway, I just discovered your site, and it probably made me about 10k gold in the few days I've read it. I was still sitting on the very large capital I made during season 2 arena. I never really needed anything since then, so I just sat on it. I made a couple of investments, and watched my money grow. A lot of what you said was very interesting, you just seemed to throw a jab or two every so often and vanity mounts, pets, etc. It is absolutely important to spend gold on yourself, and image is one of those things I would never skimp on. I will only mention the two obvious reasons. The first is that you need goals tied to rewards to drive yourself onto the next target. There is *nothing* that will cause you to make more gold than having a goal, because nothing drives a human being more than self-motivation. The second reason you want to buy vanity items with your gold is to showoff. 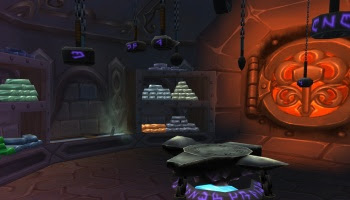 It's not so important in WoW gold-making because most players are pure AH grinders, but I bring in a lot of business by the relationships I form with customers and for this it's important to impress them with my wealth. It helps them remember me over the next guy that wants to buy their cheap herbs/ore/reagents/etc. Having said that, the best way to make money is by investing (make your money work for you, don't work for your money), and until you are in a situation where you have too much gold to invest it all, any vanity purchase will actually lower your gold-making capabilty.